AMBRE can boast one of the best beaches of soft white sand, more than one kilometre long, on the island. 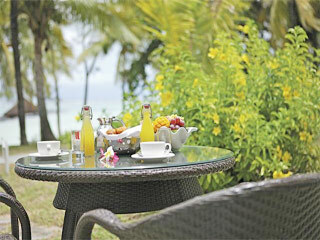 An adult retreat that is truly Mauritian in style and ambiance. Protected by the coral reef, the turquoise lagoon is ideal for swimming and for all the complimentary water sports. Scuba diving & water-skiing are at a supplement. 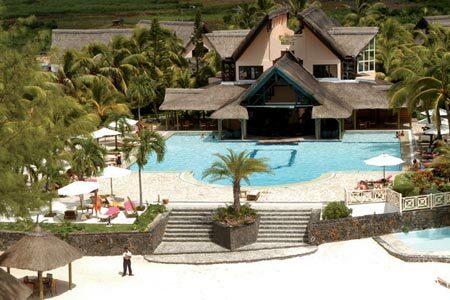 The Ambre Resort is an All Inclusive Adults Retreat. No children under 16 years of age are accepted. It is a 279 room, 4 Star hotel, located on one of the finest beaches, Belle Mare, on the East coast. 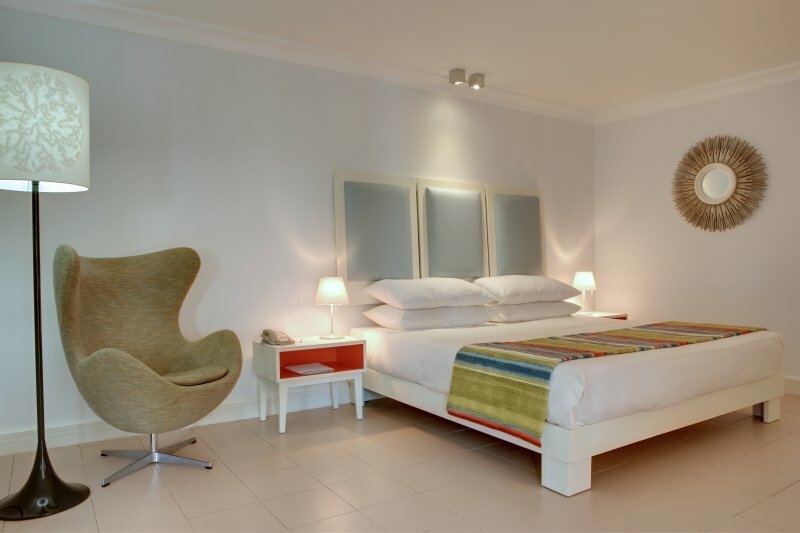 Standard rooms for 2 persons have a garden view and Superior rooms for 2 or 3 adults can be either garden or sea view. Both room types have a shower only. Suites are also available. Facilities include a pool, a Spa and 3 restaurants. Ambre is a ‘Kosher Friendly’ resort. Price from R 24 930 pps | Taxes included. Ambre is an Adult Only Retreat. No children under 16 years allowed. From R22 910 per person | Taxes included. Your “All Inclusive” package entitles you to a number of services in the hotel. Indigo Restaurant. The main restaurant offers an interactive buffet with various live-cooking stations featuring international and regional choices for breakfast, lunch & dinner. Dolce Vita. This restaurant offers an authentic Trattoria style dining, with emphasis on homemade antipasti, pizzas, a variety of tapenade freshly baked bread and homemade pasta. La Plage. The authentic Beach restaurant with a cool feet-in-the-sand attitude, offering Mediterranean and Mauritian inspired specialties. Coral Bar. An idyllic backdrop for unwinding throughout the day service with an exciting list of cocktails and drinks. Shakers Nightclub. Shakers is the hip and bubbling night club of the resort.